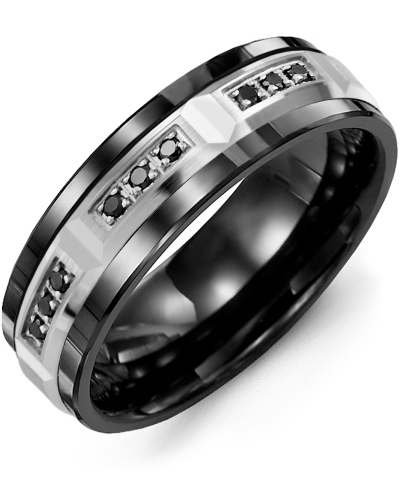 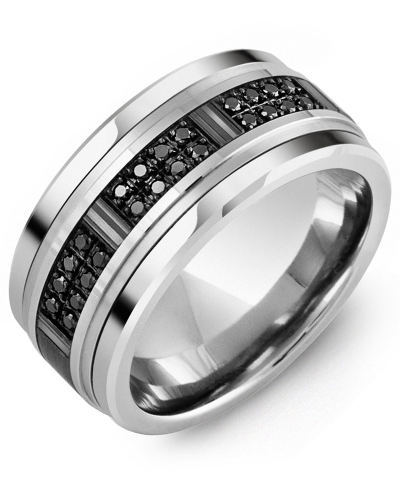 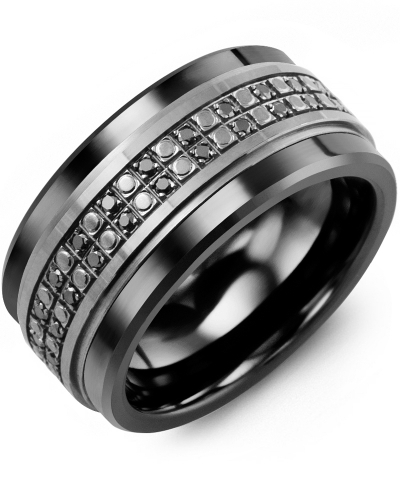 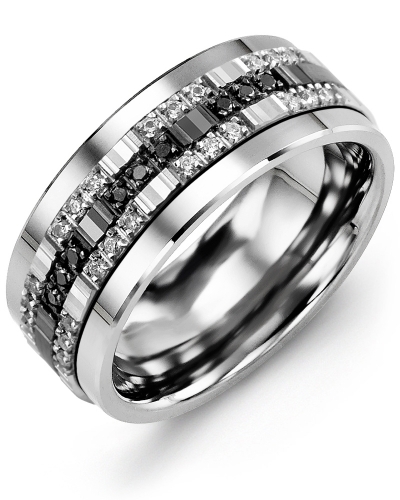 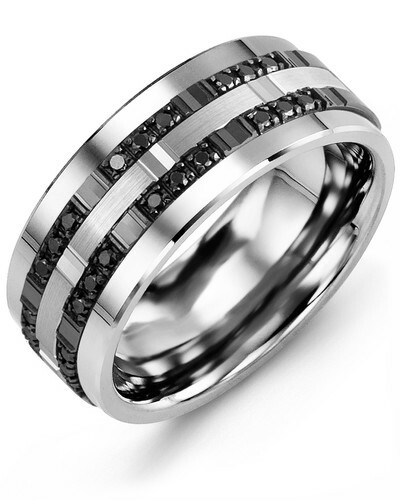 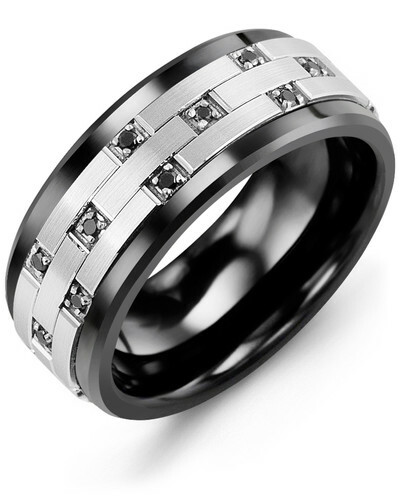 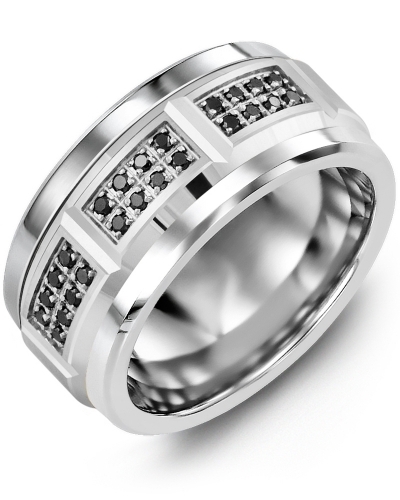 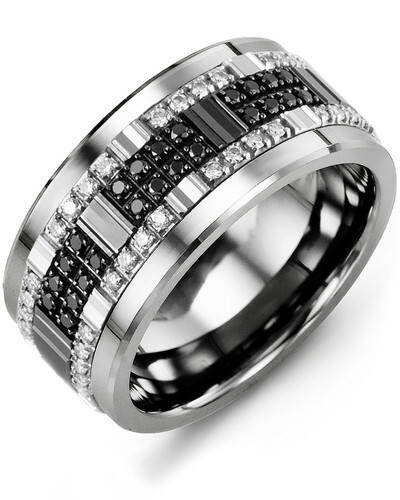 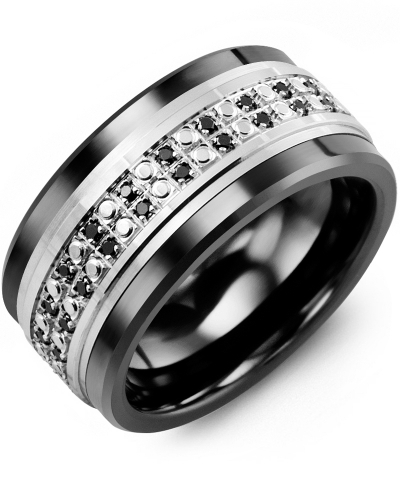 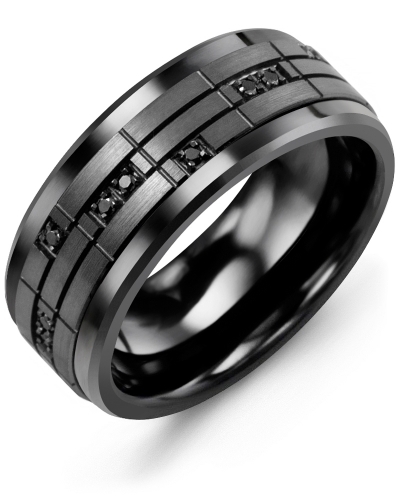 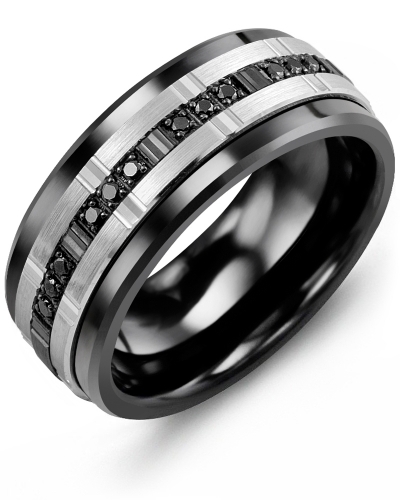 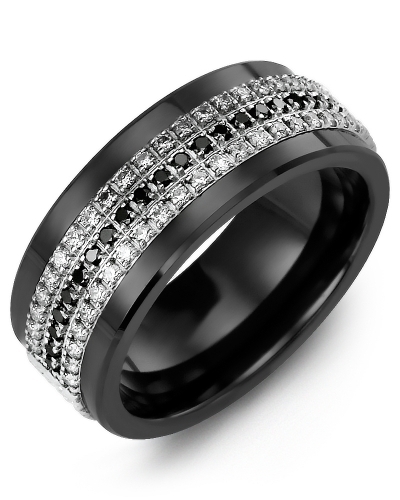 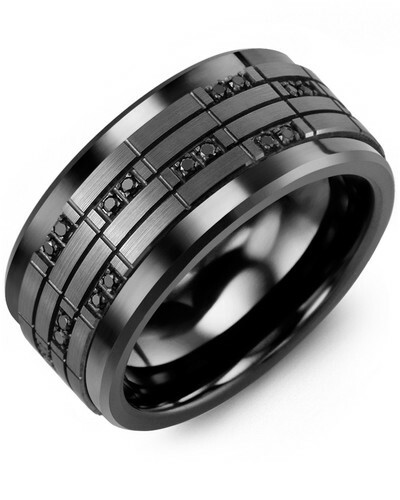 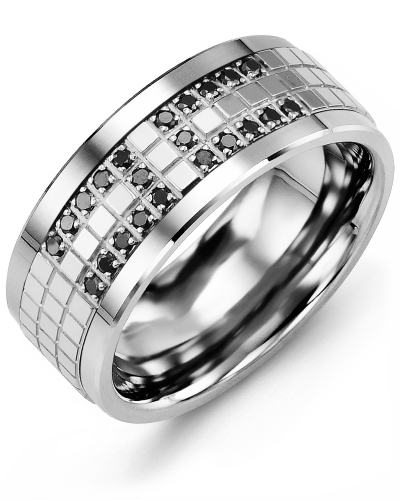 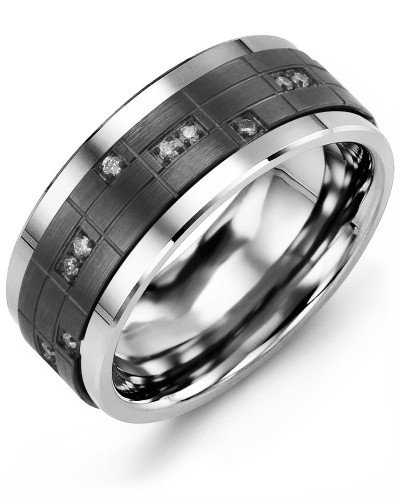 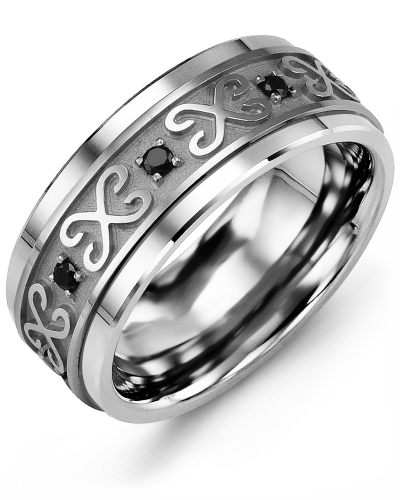 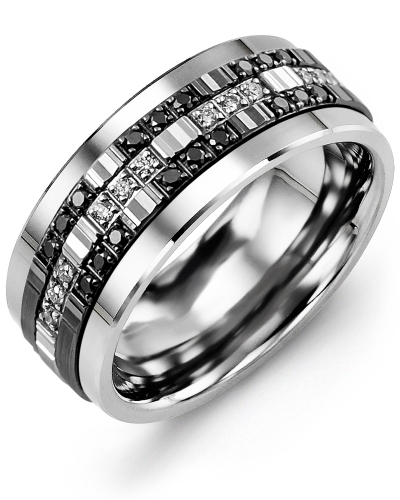 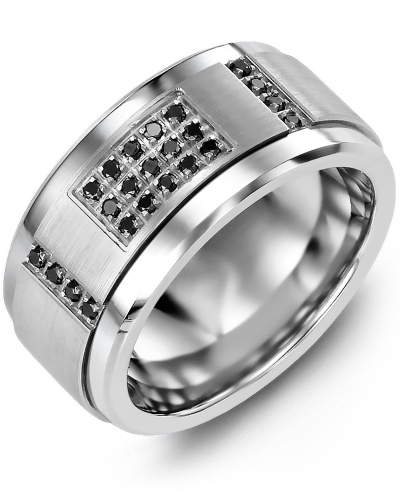 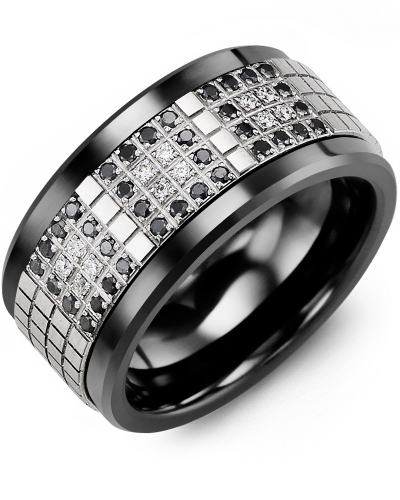 MDH - Milgrain Black Diamond Wedding Band A sleek and sophisticated piece of jewelry for the modern man, this 7mm Men’s Milgrain Black Diamond Wedding Band would make a stunning engagement or eternity ring. 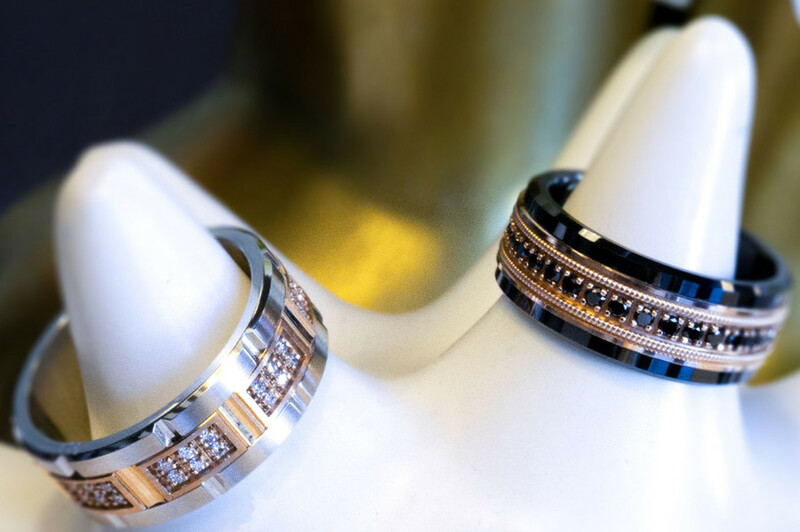 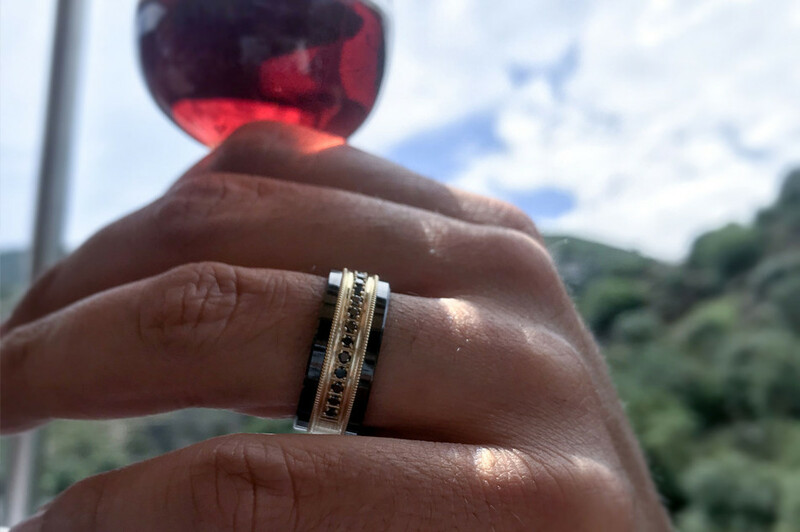 The polished cobalt ring, tungsten ring, or ceramic ring, features a yellow, white or rose gold insert with milgrain detailing and 17 black diamond solitaires, for a total carat weight of 0.34ct. 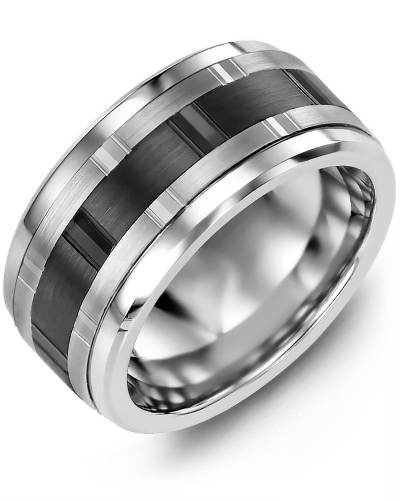 It is available in 9mm and 11mm widths, and 10kt, 14kt and 18kt options. 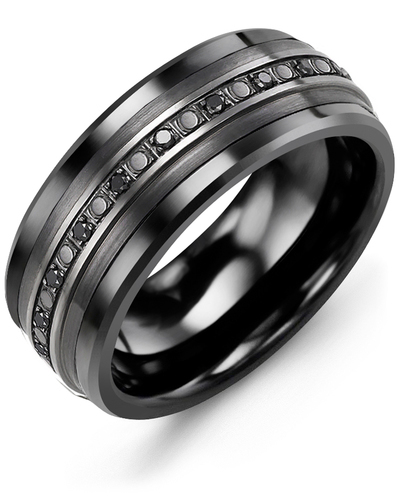 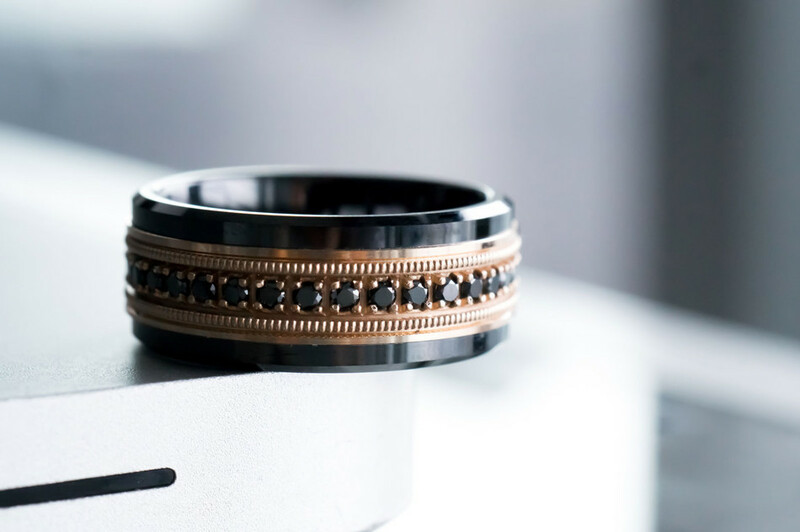 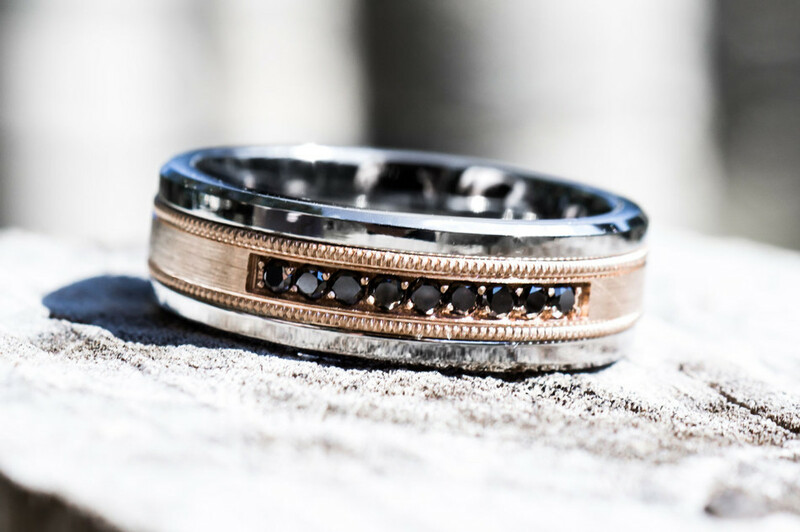 A sleek and sophisticated piece of jewelry for the modern man, this 7mm Men’s Milgrain Black Diamond Wedding Band would make a stunning engagement or eternity ring. 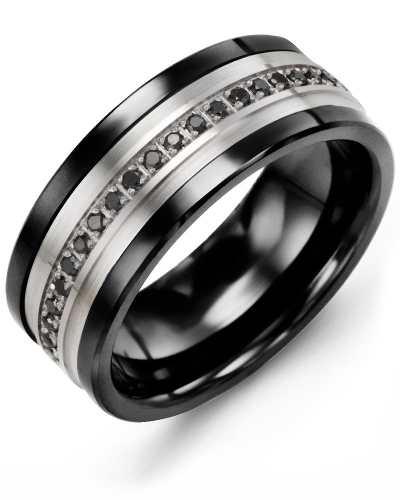 The polished cobalt ring, tungsten ring, or ceramic ring, features a yellow, white or rose gold insert with milgrain detailing and 17 black diamond solitaires, for a total carat weight of 0.34ct. 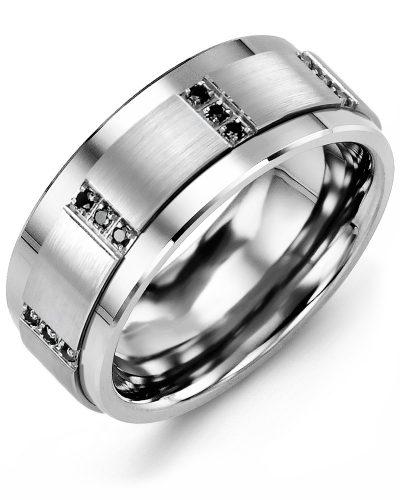 It is available in 9mm and 11mm widths, and 10kt, 14kt and 18kt options.